Born at Greenock, Scotland, Murchie studied at the Royal College of Music, London and started playing on a Rockstro system flute before taking up an open G# Boehm system flute with thinned head. He played principal flute for the Royal Philharmonic Society 1925-1932 and in the BBC Symphony Orchestra 1930-1938. He played in chamber music groups often and founded the London Wind Quintet. 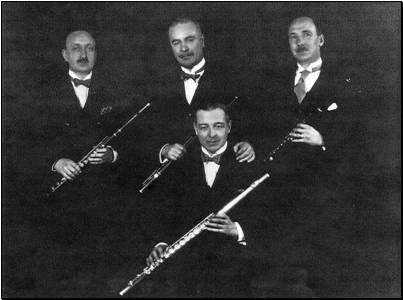 He was also a member of the London Flute Quartet along with Gordon Walker, Frank Almgill and Charles Stainer. From 1946-1948 he was professor at Kneller Hall, Trinity College of Music and the Royal College of Music. His played with a large tone and his dexterity and accuracy were second to none.